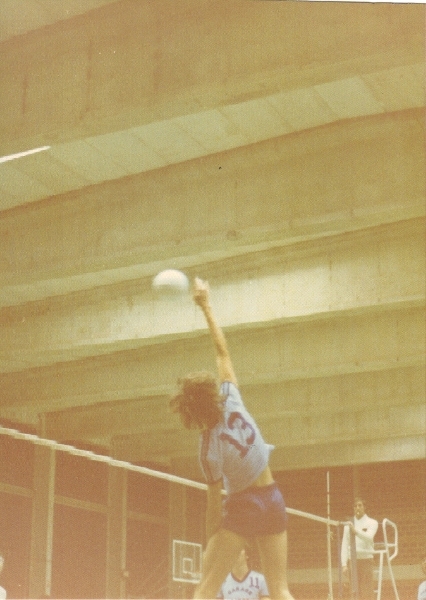 Some of Marc’s fondest memories are of his days as member of the Embourg Volleyball Club in the late 70’s and early 80’s. 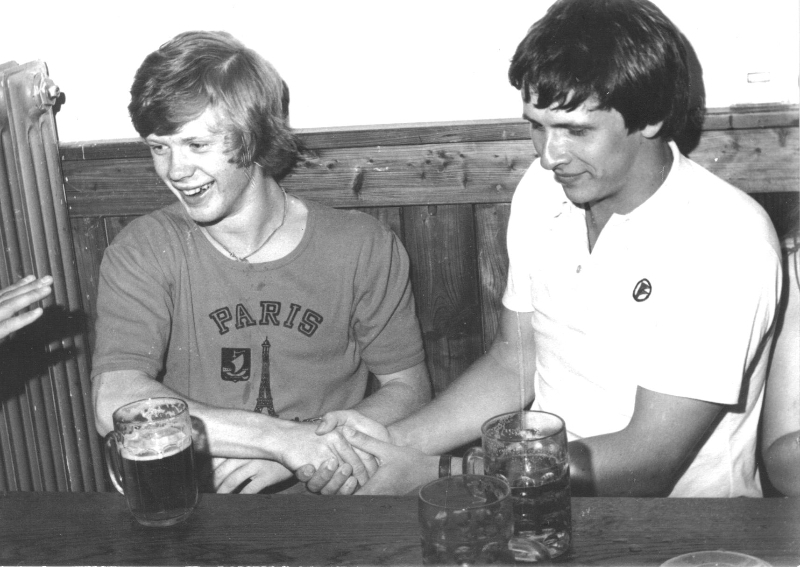 This young team took the province by storm, and Marc became fiend with Jean-Pierre Gonze, Jean-Luc Fox, Michel Praillet, Aimé Houet and René Pairiot. 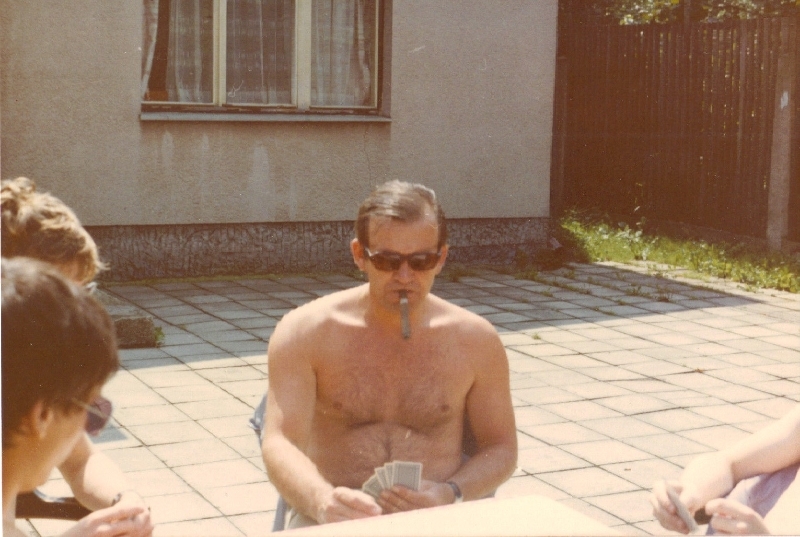 FRIENDLY NOSTALGIA – by Philippe Halleux. “Those who do not respect the past are not worthy of the present”. A short quote that seems ideal to break from our daily routine of “the news” and to allow us to relive a glorious past, a past not so distant. The door is open to all the clubs that would like to share their history, so we may appreciate them better today. Embourg, just like Seraing, wrote the best pages of volleyball in our province. Why talk about it today? Simply because one of the actors of that fantastic odyssey we are going to relive here moved to Canada 13 years ago, at the end of the Beautiful Story. His name: FUFU, a.k.a. Marc Furnémont, the brother of the other fufu, the one who is making us suffer in the local press (not for long, unfortunately). 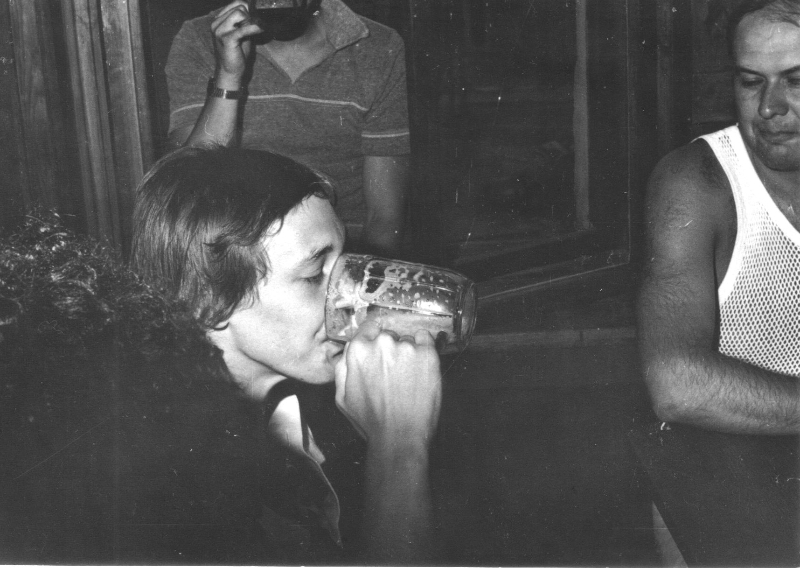 FUFU arrived at the volleyball club in 76, when St. Bar relocated to Embourg and changed its name. 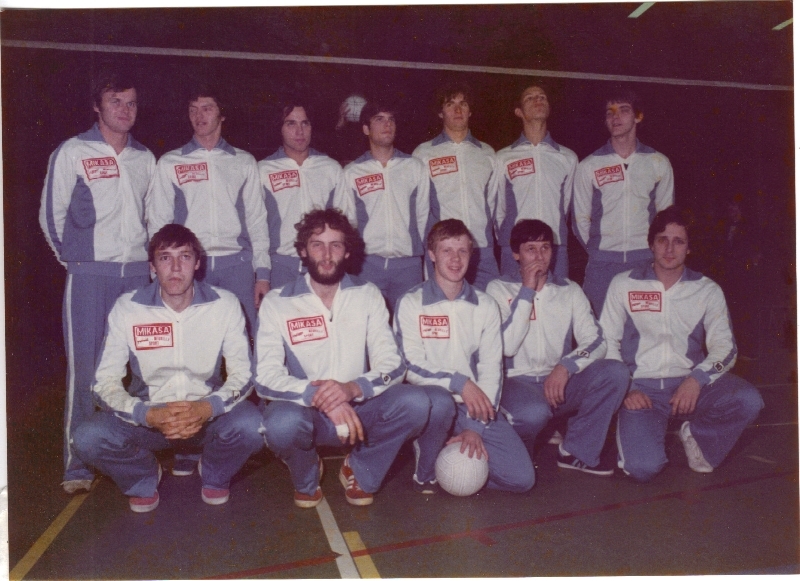 In their 2nd season, 1977, Embourg are champions of Provincial 2 Division and climb to P1. 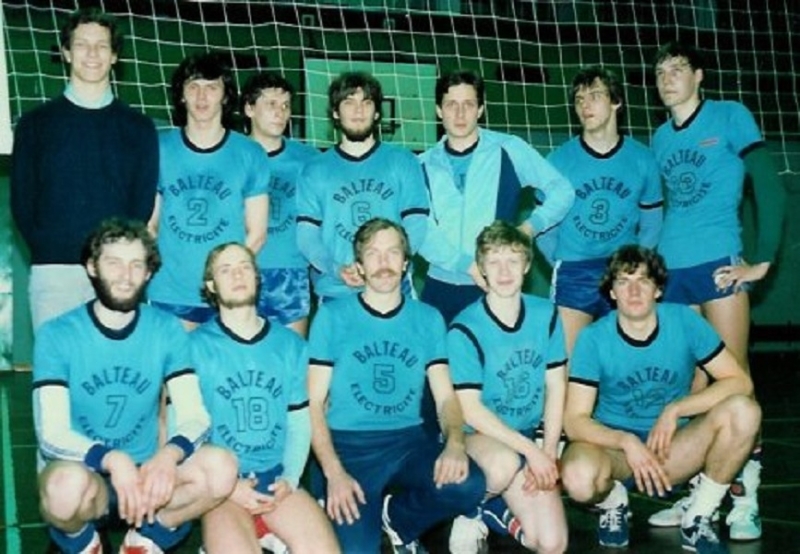 In 79, Embourg are Provincial Champions and runners-up in the Provincial Cup. They climb to National 4. In 80, Embourg finish second in N4 with players like Fox, Pairiot, Praillet, Gonze, Lejeune et Peters. 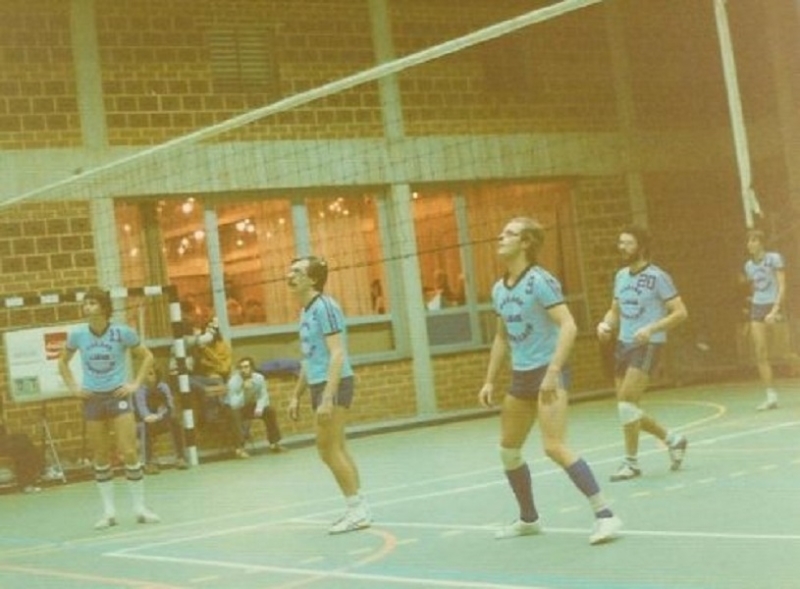 In 81, they are champions of the same N4 and again runners-up of the Provincial Cup with Vanspauwen, Bruwier and Gras, three other great names of Liège volleyball, and move up to N3. 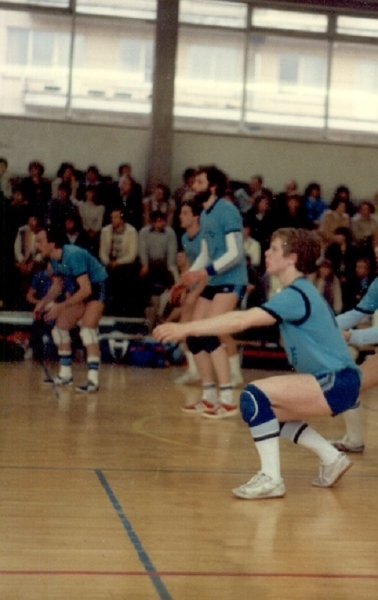 His departure does not derail the formidable climb of his team, champions of N3 in 83, finally winners of the Provincial Cup, and who rocket to N1 after purchasing the franchise rights of Seraing, the other volleyball giant. This is when Hanozet is playing in Embourg … as an attacker. 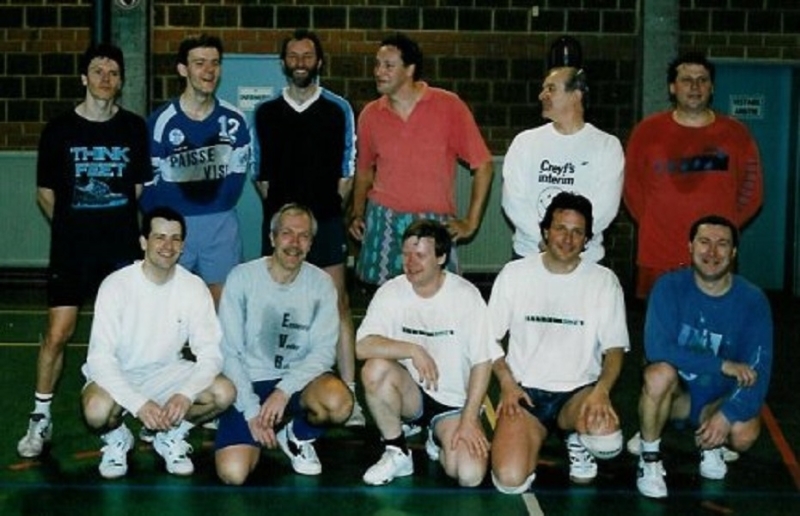 Pierre Derbaix, is at centre, and Jean-Pierre Colin is there as well … along with many others who are less remembered, mainly because they did not pursue their career as volleyball players or coaches. Stéphane Lejeune stands out here as one of the best attackers we have seen, but who had to choose between volleyball and his studies. 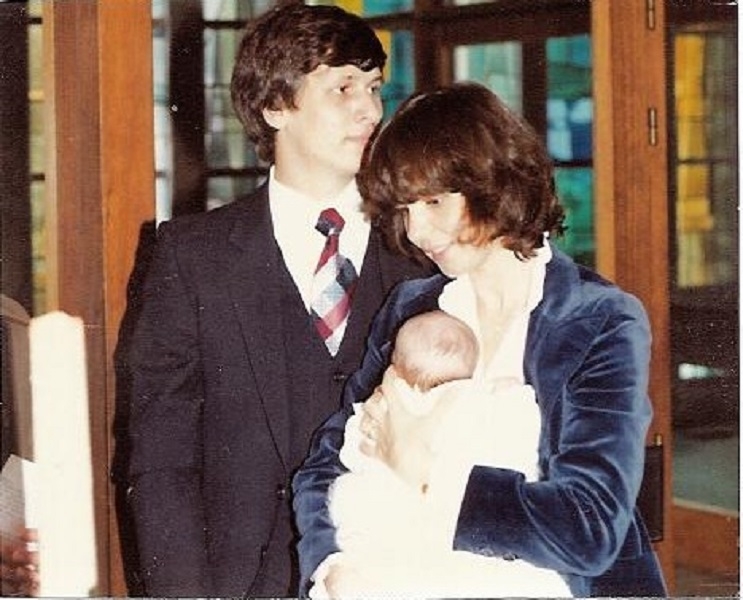 In 85, the club folds for lack of funding, and it is the end of the Beautiful Story. Today, the club has a different outlook, money is secondary, and the emphasis is with young players of both genders. * On Sunday: Gathering at the Embourg Sportsplex, starting at 3 PM. For his return to Belgium, Marc’s parents and friends have organized a game for the veterans. 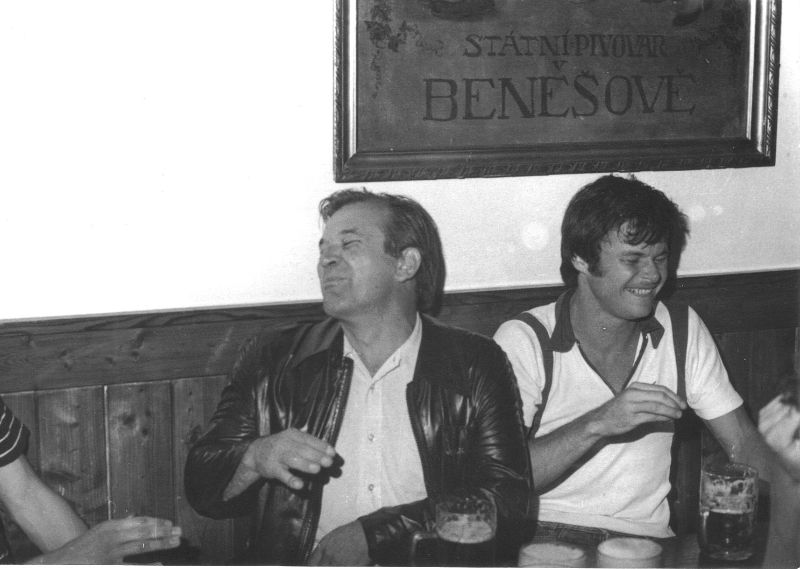 A game in honour of friendship, to be followed by a drink in honour of the same. Gonze, Vanspauwen, Lejeune, Gras, Bruwier, Praillet, all of FUFU’s ex-teammates will be there. Claude Driessens, the Secretary will be there as well, and of course the President, Aimé Houet, wearing shorts for the occasion! There will also be a representative of the short-lived women’s team of the same era, the one and only Isabelle Decresson. All those who lived those hours of Liège volleyball are of course welcome and invited to attend this game, whether they are from Embourg, Grivegnée, Seraing or elsewhere. Warning: this is a surprise!!! Please do not show up at Furnémont’s house with the Sports Section before Sunday.